Making Evaluation Useful and Useable. Using Evidence is a research and evaluation consultancy that focuses on development and research evaluation. Using Evidence is concerned not only with high quality research, but in exploring ways to enhance the use of results. I have had a strong focus on evaluation methods for many years because I think we need new approaches that take account of complexity and that also look at systems not only at projects and programs. I worked with colleagues on the development of Outcome Mapping as well as an approach to Organizational Assessment. Both of these methods integrate context directly into the assessment approach and treat it as a key variable. 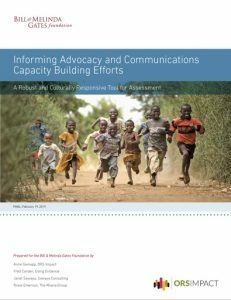 I have also worked with a team in an action research project on the development of an approach to Evaluating Capacity Building. My current work in this area is a collaboration with ORS Impact to develop an approach to evaluating advocacy capacity. We are piloting a 360 approach in a number of Bill and Melinda Gates Foundation projects. In addition, I am working with the Foundation’s Maternal, Neonatal and Child Health team on an approach to evaluating implementation research. In 2018, I published a working paper, Policy and Causality, on the Knowledge Sector Initiative (Indonesia) website. Major evaluations can benefit from an external perspective to review the design and draft report. I have carried out quality assessments for Universalia Management Group on evaluations they have conducted for the World Food Program, and for IUCN on Value for Money assessments. As many of my evaluation colleagues, I also carry out pro bono peer reviews for a number of evaluation journals. Evidence from research and evaluation needs to be used if it is going to contribute to social improvement. Too often we focus on the methods and the study itself, and forget about use until the very end. Use needs to be thought about from the beginning. This focus was reinforced by a study I did for the International Development Research Centre in which we looked at how the research the Centre supports influences public policy – Knowledge to Policy. The findings of that study on the mechanisms of influence has been an important influence on my work over the past decade. I was involved for some years with the Knowledge Sector Initiative in Indonesia where we worked across the policy system to strengthen both supply and demand for policy evidence and its use, as well as working on the legislative and regulatory barriers that inhibit the effective conduct and use of evidence in policy processes. Currently I am working with the Agricultural Science and Technology Indicators program of the International Food Policy Research Institute on a project to enhance the use of evidence gathered through this program, particularly at the national level. 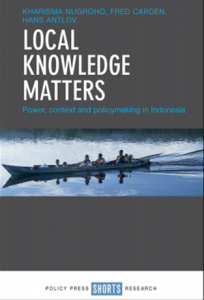 In 2018, with colleagues in Indonesia, I published Local Knowledge Matters in English and Indonesian, examining the role of local knowledge in public policy processes. As well, I co-edited Knowledge, Politics and Policymaking in Indonesia, which examines key questions in evidence-informed policymaking in Indonesia. Many organizations struggle to develop effective and use-oriented evaluation systems that help the organization learn and improve. While at the International Development Research Centre (IDRC) I was involved in the design of evaluation systems and processes that helped the organization and its programs learn from experience. I designed and implemented the first several rounds of program review at the Centre, worked with a cross Centre team to revise our project completion reporting process, and worked with programs on building evaluation of their strategies. Since leaving IDRC, I have worked with the MasterCard Foundation and the Rideau Hall Foundation, providing support on their evaluation systems. I am currently working with a team to support the development of an impact evaluation framework with National Research Council (Canada). I am also engaged with the Bill & Melinda Gates Foundation work with the Maternal, Neonatal and Child Health team on strengthening its evaluation systems. At the systems level, I am exploring how evaluation can look at more than an organization or a program and take account of whole system change. I have written on this in a working paper published by the Knowledge Sector Initiative as well as a joint discussion paper with colleagues on the role of knowledge systems in the Fourth Industrial Revolution. With the Global Development Network, I am involved as an advisor on the Doing Research Program to assess the state of social science research in Low and Middle Income Countries. With a small team based in Africa, I am working with the MasterCard Foundation on strengthening African leadership in research and convening, particularly related to the program on the Changing Nature of Work. I am actively involved in evaluations as well. While at IDRC I was involved in a wide range of evaluations. More recently I have been involved in organizational assessment of UNWomen (regional architecture) in collaboration with EnCompass, and at the Rideau Hall Foundation, with Cindy Weeks Consulting. I have worked with the Ontario Brain Institute on design of evaluation for some of its programming. I am working with Global Affairs Canada, on evaluating coherence in development, trade and diplomacy efforts. As well I am supporting evaluation design with the International Confederation of Midwives as well as a GIZ-Gates program in Maternal, Neonatal and Child Heatlh in Malawi. I work with Sambodhi Research and Communications on process evaluation of programming in maternal and child health in Uttar Pradesh, India. Evaluation should leave behind improved capacity to do evaluation. For many years, I conducted training around the world in organizational assessment and Outcome Mapping. More recently I have been working with the UNESCO Regional Office for Sciences in Latin America and the Caribbean, on a Massive Online Open Course on “Inequities in Latin America and the Caribbean. Research and policy for social transformations”, delivering three modules on evaluation. The course was piloted in 2017 and is running in both Spanish and English in 2018. I published a chapter in the June 2017 issue of New Directions for Evaluation, ‘Building Evaluation Capacity to Address Problems of Equity . I am working with colleagues on thinking through how to address issues of culture in evaluation and how to promote a more active integration of culture into evaluation thinking and methods. In November 2017, I delivered an Outcome Mapping Workshop for the Higher Education department of the Ministry of Research, Technology and Higher Education in Indonesia, as well as keynoting a conference on impact evaluation the Ministry held in Bandung. In February 2018, I delivered an introductory Outcome Mapping workshop to the Atlantic team of the First Nations and Inuit Health Branch (FNIHB) of Indigenous Services Canada. Fred Carden is the author or co-author of 8 books published in a dozen languages, as well as numerous chapters, articles and presentations. State Capability, Policymaking and the Fourth Industrial Revolution: Do Knowledge Systems Matter? The challenges of the Fourth Industrial Revolution are as huge and varied as opportunities: are we ready for them? How can knowledge systems contribute? There is no simple answer. This is an incredible window of opportunity to sense how knowledge can play a significant role in making public policy decisions to face the “unknown” embracing complexity, and maybe even to re-define what knowledge is and how it can be co-produced. 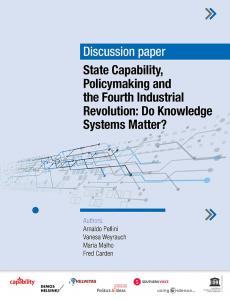 This paper, “State Capability, Policymaking and the Fourth Industrial Revolution: do Knowledge Systems matter?” is co-produced by Politics & Ideas, Capability, Demos Helsinki, Helvetas, Southern Voice, UNESCO Montevideo and Using Evidence. Here, we launch a collective exploration on how knowledge systems could become even more relevant in the future to contribute to new ways of making good policy decisions that capitalize the opportunities of this revolution and diminish its potential risks, especially in middle income countries. Published by Southern Voice. 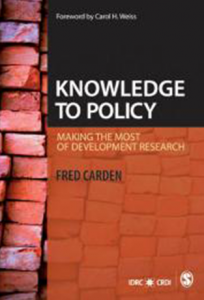 This book explores the critical role that local knowledge plays in public policy processes as well as its role in the co-production of policy relevant knowledge with the scientific and professional communities. The authors consider the mechanisms used by local organisations and the constraints and opportunities they face, exploring what the knowledge-to-policy process means, who is involved and how different communities can engage in the policy process. Learning about learning in an adaptive program. With Arnaldo Pellini. Better Evaluation, 21 March 2017. Indonesia’s knowledge sector is catching up, but a large gap persists. With Arnaldo Pellini and Helen Tilley. The Conversation. 16 November 2016. Science and Research in the Public Interest – the Role of National Science Academies. Research to Action. 10 November 2016. 2017 & 2018. UNESCO Montevideo. MOOC (Massive Open On-line Course). Desigualdades en América Latina y el Caribe: Investigación, Políticas, y Gestión para las Transformaciones Sociales. Module 3: Evaluating for Equity. 2016. Rethinking Research Policies and Practices. (at 43:30). Centre for Innovation, Policy and Governance, Jakarta. 2012. Emerging Practices in Evaluating Policy Influence. My M&E eLearning Series on Emerging Practices in Development Evaluation. 2010. Development is Not an Intervention. Presentation to the Virtual Conference on Evaluation, Witwatersrand University. 2009. Evidence-Based Policy Making. IFPRI, Washington. DC. Fred is an evaluation specialist with over 30 years’ experience in evaluating development research and programming, and the development of evaluation methodologies. In addition to his focus on methods, Fred has interest and expertise in the use of evidence in public policy. In 2015 Fred established Using Evidence Inc., a global consultancy that focuses on efforts to improve the use of research and evaluative evidence in decision making. 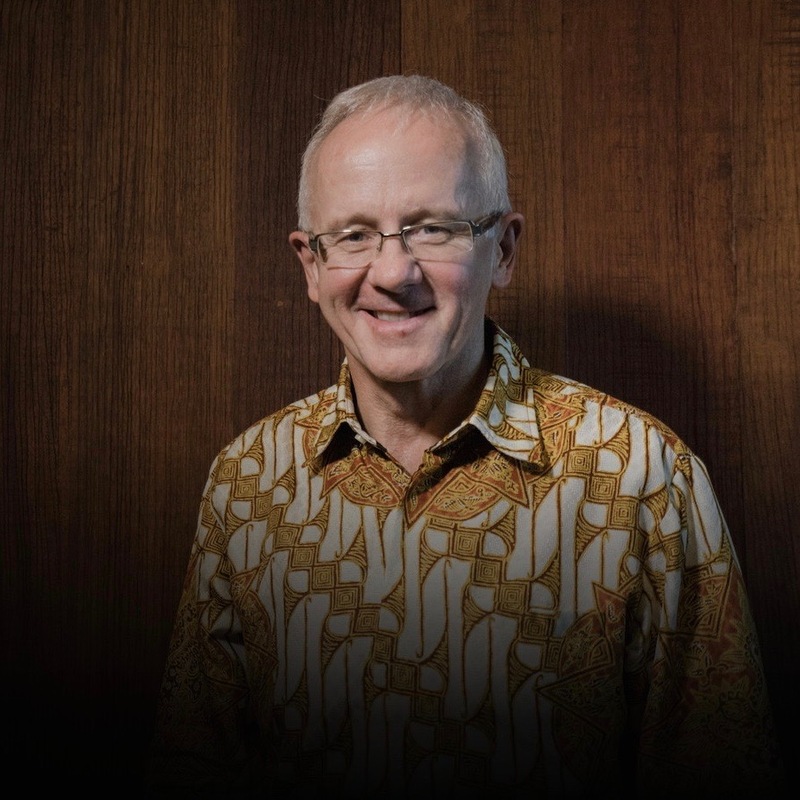 Prior to establishing Using Evidence, Fred spent two years in Jakarta as Lead Technical Advisor to the Knowledge Sector Initiative (KSI), a 15-year Australian funded project to support the knowledge to policy cycle in Indonesia. Before joining KSI, Fred was Director of Evaluation at the International Development Research Centre in Canada, where he worked from 1993-2013. He is the author and co-author of numerous publications including Local Knowledge Matters, Knowledge to Policy: Making the most of development research, Outcome Mapping, and Enhancing Organizational Performance. He has published articles on other evaluation challenges, such as evaluating equity, and strategy evaluation. He continues to write, with primary interests in the use of evidence in public policy, implementation evaluation, and the evaluation of change at the macro level. See Publications for a complete list. Fred’s current work includes research on the use of agricultural research evidence at the national level in Africa, evaluating implementation research, exploring the implications of the Fourth Industrial Revolution in middle income countries, and integrating learning and evaluative thinking more effectively into organizations. Fred serves on the Board of the Partnership for Economic Policy and is an Advisor to he Doing Research project of the Global Development Network. He sits on the editorial boards of the American Journal of Evaluation, the Journal of Evidence and Policy, and New Directions for Evaluation. Fred holds a PhD from the University of Montreal (1990) and a Fellowship in Sustainability Science at Harvard (2008). He lives in Ottawa, Canada. © 2019 Using Evidence Inc.